Christmas lights are versatile dorm essentials you don't want to be without. You don't want to be without them during the holiday season, and you especially don't want to be without them during the entire college year. Your college dorm room isn't going to be very well lit at first, so these handy dorm items add both extra lighting to your college dorm room and they also add to your dorm room decor. 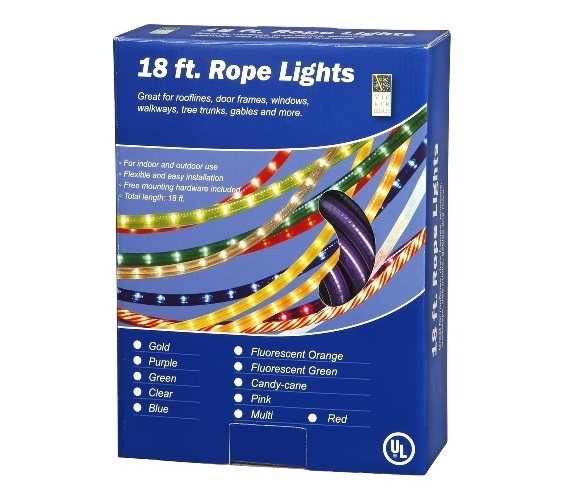 For extra holiday dorm room decorations, add our 18' Purple Rope Light. This college supplies item is in a pretty purple color that will look great wrapped around your dorm Christmas tree. With bulbs with one inch spacing, these dorm essentials are sure to make an impact in your holiday dorm room decor. Of course, you aren't just limited to your dorm Christmas tree with these dorm necessities. You can also place these dorm essentials around your college dorm room whether or not it is the holiday season. Wrap our Purple Rope Light around the perimeter of your college dorm room or you can even create a design with these dorm lights! With versatile dorm essentials like our Purple Rope Lights in your college supplies, you can have cool looking dorm room decor all year round!